One of the artists I watch on deviantART, Jeffrey “Chamba” Cruz was always one of my favorites. He is one of the hard-working illustrators who achieved such a level through tons of practice added to natural talent and that is the reason he is worthy of praise. 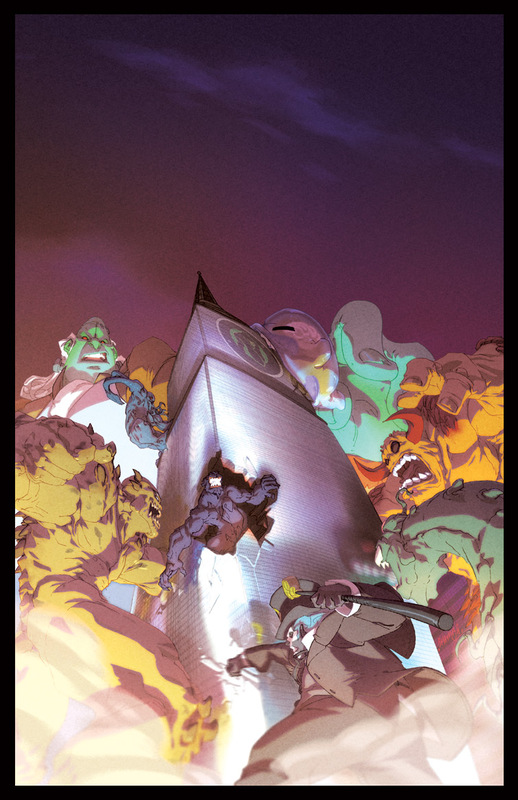 His art, though varied, has a particular flavor and his style is easily recognizable – dynamic characters, beautiful backgrounds, sweet experiments with perspectives, all merged with an obvious passion for experiments. From the tone of this introduction you can imagine how happy I was that he made some time to answer some questions for me, especially now that he is busy working for the next installment of Capcom’s Street Fighter official comics. He started working with the excellent artists at UDON entertainment for some game cards, and once he completed that project they asked him to be the illustrator for the Street Fighter 2 Turbo volumes. Way to recognize his art! You can read the whole story here, in his interview for Comic Book Resources. And now, let’s hear what the man has to say for himself! When did you know you want to draw for a living and how did you start your career as an illustrator? Chamba: It was pretty late that I decided that I wanted to dabble into something in the art field, I think it was in 11th grade maybe. By then I was positive that I wanted to get into a field where I would draw for a living. You are a big Disney fan. What other influences can we expect in your art? Chamba: I’m influenced by Animation in general. Good animation that is. Manga and Anime also influence my work quite a bit, and Comics in General. Watching you on deviantArt I’ve seen you got involved in lots of cool projects. When I was a kid I dreamed of one day working with companies like Capcom, drawing Street Fighter characters for comic books or posters… you got to actually do it. Please do tell us more about some of the projects that are close to your heart. 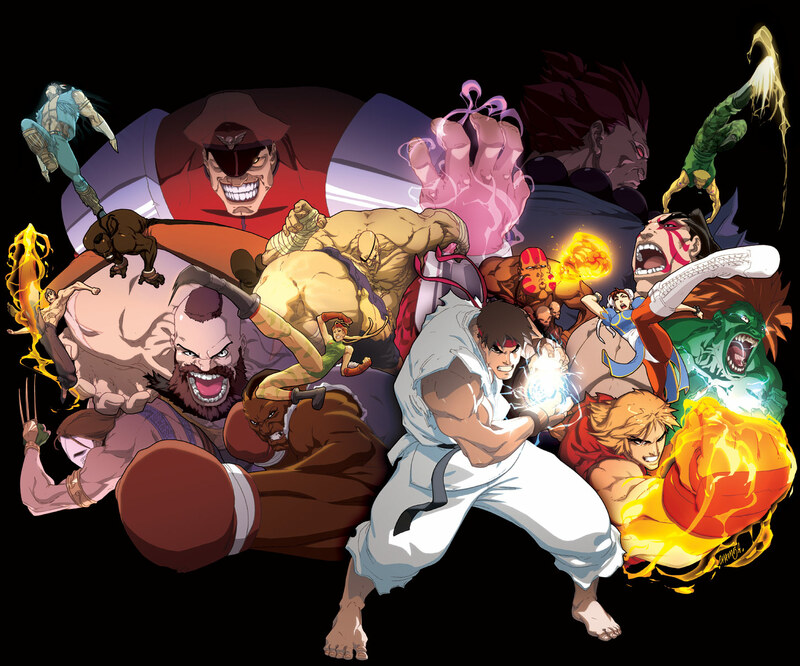 Chamba: Well, Street Fighter is one project that I did not expect to ever be drawing on an official level. Being a fan of that video game since early childhood, never did I expect to be working on the characters like I do now. Speaking of projects, I know you are drawing your own illustrated novel. Can you give us some details about that? 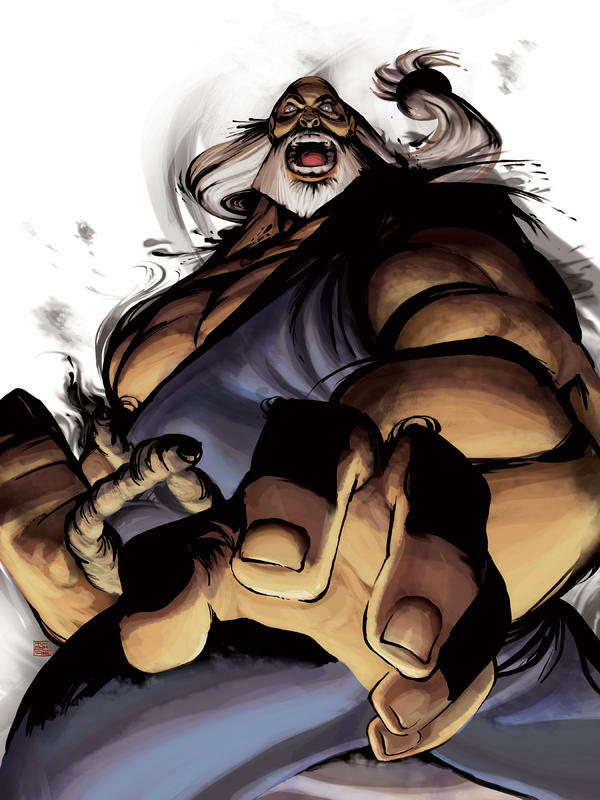 Chamba: I’m currently not drawing any other project besides Street Fighter II Turbo, as I like to focus on one project at a time. But I do have original characters and Universes that I’d like to one day dive more into and produce on a professional level. You’ve done quite a few t-shirt designs. Ever thought of pursuing that direction in your career (apparel designer)? Chamba: I enjoy making these T-shirt designs mainly as an outlet for myself. I’ve always wanted to have my own design on a shirt and only I am able to do so, so I took a dive right into it. Were there any life-changing experiences in your professional career? Can you tell us about it? Chamba: Well I guess fully deciding that THIS is the career path I wanted for myself was life-changing enough. Knowing what I wanted was the beginning of it all. Finding out how to achieve it is still something I aim to do, heh. Future prospects? Any goodies we should know about and expect? 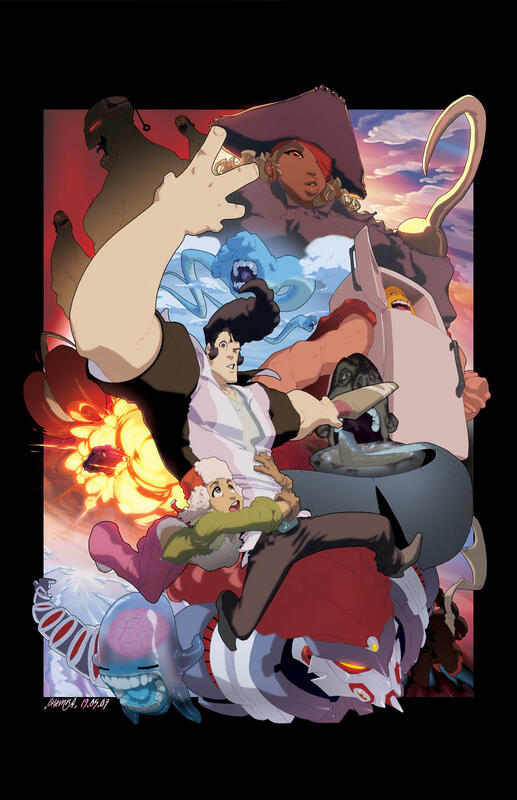 Chamba: Apart from Street Fighter and more work from UDON, no real clue. I just hope to finish SFIITurbo off well enough then see what happens after that. Thank you Jeffrey for sharing with us some of your time! People, don’t forget to watch him on deviantart, read his blog, buy his T-shirts and leave a comment to recognize all the awesomeness!